LAS VEGAS (AFP) - Technology is going to the dogs. And to cats and horses, for that matter, as high-end gadgetry showcased at this week's Consumer Electronics Show (Jan 9-12) offered ways that smart devices can improve the lives of animals and their human friends - starting with a good night's rest. An array of firms meanwhile showed off wearable devices to monitor pets on the move, aiming to consign neighbourhood "lost" posters to history. Custom "safe zones" can be set up around a home and if pets wander out-of-bounds their humans will get smartphone messages allowing them to pinpoint where their pooch, or kitty, is on the map. "If your pet gets out they can be missing for hours or days," said Whistle spokesperson Heather Wajer. "You can put up posters around the neighborhood and search for them, or you can just look at your phone and see where they are." While home cameras that can stream feeds via the internet have been around for some time, Petcube has improved on the basic concept by introducing "smart" elements. With the help of artificial intelligence, pets movements in front of its camera will trigger a video call to their human's phone as well as a preview "pet selfie" clip. Its device also comes with laser pointers allowing people to remotely play with their furry friends if they're getting bored, and even reward good behavior by firing off treats during calls. Meanwhile, startup Pebby is working on a "smart robotic ball" with built-in camera, wi-fi, Bluetooth and laser pointer capabilities, affording more opportunities to play remotely. Cleaning your feline friend's litter box is an unpleasant but necessary task, unless you (and house guests) are prepared to stomach a strong stench. 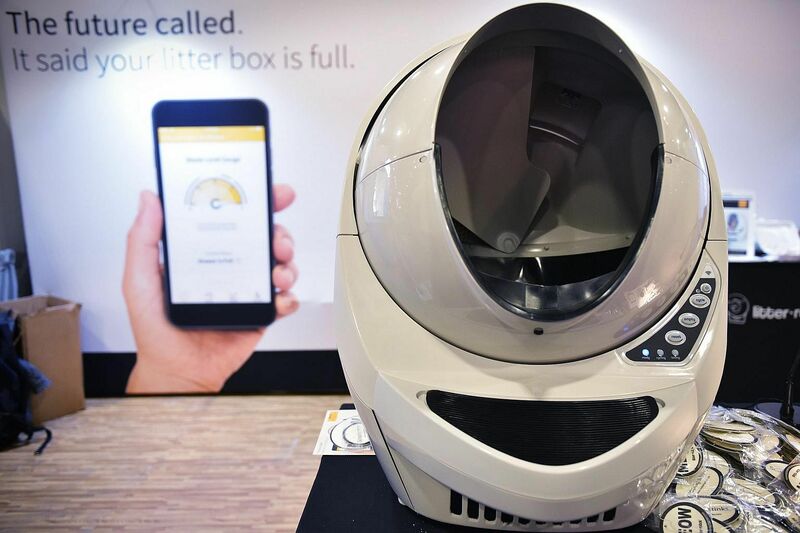 Litter-Robot sales hit new highs on Black Friday and Cyber Monday due to the release of a smartphone application that gets data about kitty's daily visits to the feline loo, according to founder Brad Baxter. When animals left home alone need to get outside to take care of business, they can now do so through PetWALK pet doors - sturdy barriers that are more secure and airtight than flaps, and are automatically triggered by RFID pendants. CWD has partnered with French start-up Arioneo to weave in an "iPulse" strap that adds data about a horse's heart rate. "Everything in our lives is smart," said Whistle's Wajer. "If technology can help make our pets lives better, than that is fantastic."